The Food Safety Modernization Act has changed the food manufacturing landscape and will continue to do so in the new year. 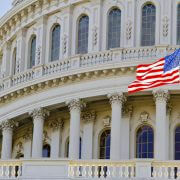 The industry has embraced the proactive approach by the federal government, but there is still much work to be done. 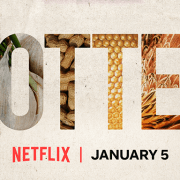 ConnectFood’s customers had a banner year in 2018 with the launch of several new technologies and the adoption of the small and medium-sized industries realizing that the federal, state, and local regulators will be looking to work with industry to ensure that the food supply continues to be safe. The food industry has spread from a local community to a global community and then back to a local community. I know that is an interesting statement, but as we look at the globalization of food from local farms and communities to the spread of large manufacturing and a global society we have also trended back to small manufacturers selling to restaurants and restaurants selling small batches to grocery stores. The Government Shutdown has also recently had an impact on inspections. With that being said, FDA is still on point for the rest of this new year. The partnership between the segments of the food industry has never been stronger. We must focus on fundamentals. As we have previously discussed, there are key areas we as a food industry will need to focus on as we move forward. • Preventive Controls for Human Food. • Preventive Controls for Food for Animals. • Standards for Produce Safety. • Hazard requiring a preventive control: a known or reasonably foreseeable hazard for which a person knowledgeable about the safe manufacturing, processing, packing, or holding of food would, based on the outcome of a hazard analysis (which includes an assessment of the severity of the illness or injury if the hazard were to occur and the probability that the hazard will occur in the absence of preventive controls), establish one or more preventive controls to significantly minimize or prevent the hazard in a food and components to manage those controls (such as monitoring, corrections or corrective actions, verification, and records) as appropriate to the food, the facility, and the nature of the preventive control and its role in the facility’s food safety system. • Known or reasonably foreseeable hazard: A biological, chemical (including radiological), or physical hazard that is known to be, or has the potential to be, associated with the facility or the food. Human Food asks us to look at facilities that process, package and hold food. This is just asking what all components are that could potentially harm humans during consumption. 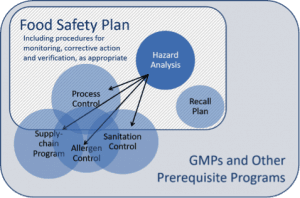 “The final rule was published in September 2015 and larger animal food facilities were required to comply with the Current Good Manufacturing Practice (CGMP) requirements by September 2016. Now larger animal food facilities have been required to comply with the preventive controls requirements since September 18, 2017, and facilities that are small businesses were required to implement the CGMPs by that date. Because compliance dates are staggered by the size of the business, the next major compliance dates come in September 2018, when small businesses will also have to meet preventive controls requirements and very small businesses must implement the CGMPs. This rule establishes “science-based minimum standards for the safe growing, harvesting, packing, and holding of fruits and vegetables” for human consumption. • Domesticated and wild animals. • Worker training and health and hygiene. • Equipment, tools, and buildings. 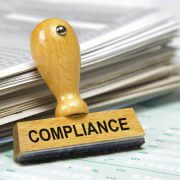 This rule has a long list of exemptions and variances which can be found at this link. Foreign Supplier Verification applies to companies that are importing food into the United States. These companies must have verified food safety plans and need to have evaluated their hazards for their products. Once again, this rule is set up to protect the United States consumer. The ultimate goal is to establish program that make foreign manufacturers as responsible as domestic manufacturers. This rule establishes the framework, procedures and requirements for accreditation bodies seeking recognition by the FDA, as well as requirements for third-party certification bodies seeking accreditation. As discussed by the FDA, this helps promote international consistency when all the components are used together. • Mitigation strategy management components. • Training and record keeping. All of these components together have created a proactive environment for the food industry. In the past we had been in a position to be rather reactive. Following these components, having active management commitment and working with your regulators will continue to help create he safest food supply in the world. We must now become more proactively involved. 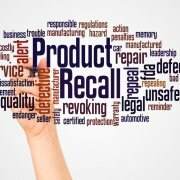 The important thing from 2018 is that we have seen more reported recalls due to the diligence of the consumer, the industry, and the government. This means that the trend of understanding the importance of food safety is increasing, allowing more people easy accessibility to food safety information. The trends in local manufacturing, produce, and the security of our food supply will continue to increase. In the coming weeks, ConnectFood.com will be covering all of these topics while highlighting the ways to tackle those food safety topics within our software. Our experts will weigh in and give you the information you need as it is available. Matthew Botos is the CEO and Founder of ConnectFood. 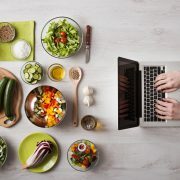 ConnectFood offers a step-by-step, “Do-It-Yourself” food safety plan generator to help companies comply with the Food Safety Modernization Act and On-Demand plan reviews from a national network of food experts. Mr. Botos is currently on the Food Safety and Preventive Controls Alliance (FSPCA) International Subcommittee. He is also one of few approved Train the Trainer instructors of the FSPCA Lead Instructor program launched in October 2015 and has taught over 800 of the nation’s leading food safety experts. Regulators for Human Food - What are They Good For? 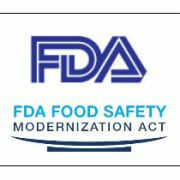 What is the Food Safety Modernization Act? 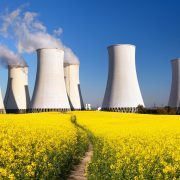 How do I Add Radiological Hazards into My Food Safety Plan? I am a Preventive Controls Qualified Individual - what now? How Do I Write a Food Safety Plan?